Scroll down to see videos on our great boot range. 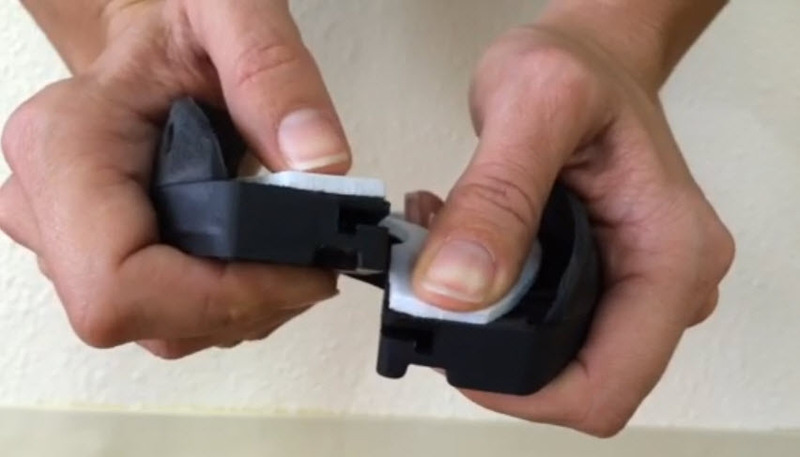 THE Easyboot "FLIP FLOP" the amazing hybrid. 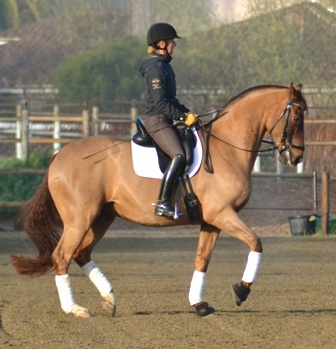 Need to fit a horse that has less than perfect hoof form and wider than long? Something new for the truly tiny horses too. Great to aid with injuries or when you need to offer them hoof protection for carriage driving or even for "therapy" horses who are taken into Nursing Homes to delight the residents! A great product from Norway highly flexible and able to fit many hoof shapes. A new concept in hoof boots. 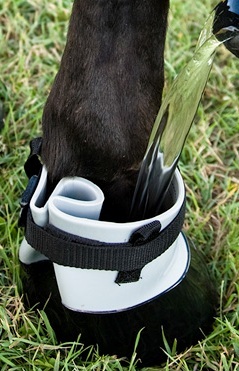 The Easyboot GLOVE BOOT Style. These are ideal for multi day rides. Please note these are for temporary use only and are not meant to be left in place for long periods. Please read the manufacturer's instructions carefully. 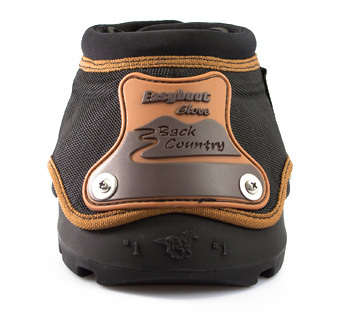 THE Easyboot "BACK COUNTRY" Boot. THE BACK COUNTRY BOOT - The Best of Both Worlds, ease of application combined with the flexibility and excellent fit of The Glove Boot. 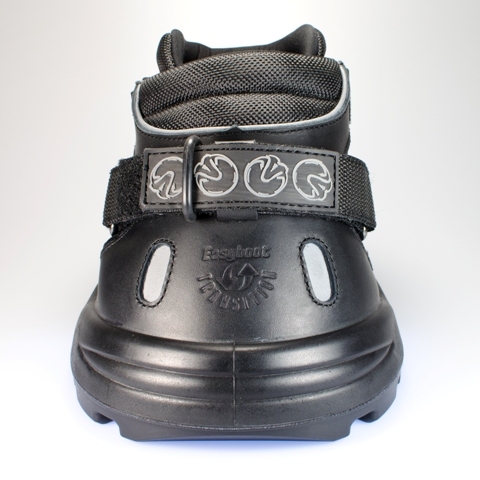 The wonderful Trail Boot - truly the easiest boot to use in the Easycare Range - Ideal for those with loss of hand strength - or those who just want to pop on a boot and head out in the sunshine. It is lighweight, washable, breathable and thick pads can be added for extra comfort. Because of its loose fit you can also choose a size that will allow you to bandage your hoof if that is necessary. A great favourite of equine vets as it allows horses some quiet turn out time in the sun, so necessary for recovery. With every feature to help your horse and made your job of nursing easier! Vets & horse owners will love this one. 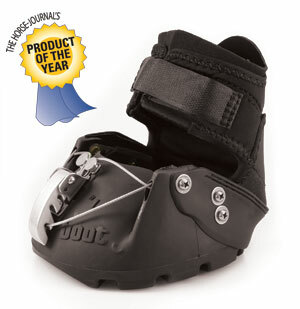 If you need instant but temorary hoof protection for a hoof injury or treating an abscess the new ZIP boot is ideal. 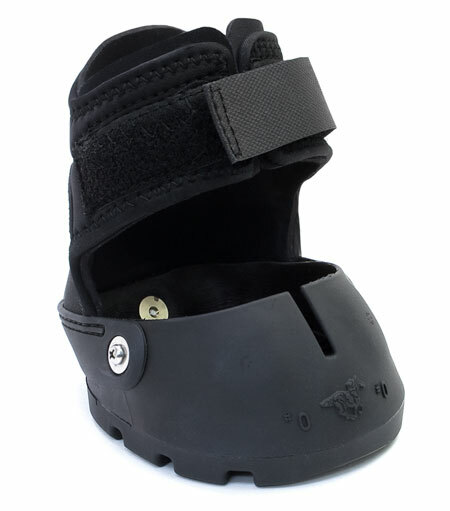 If you require comfort & protection for a laminitic horse then we suggest one of the other Therapy Boot styles. This system must be used on conjunction with veterinary advice. 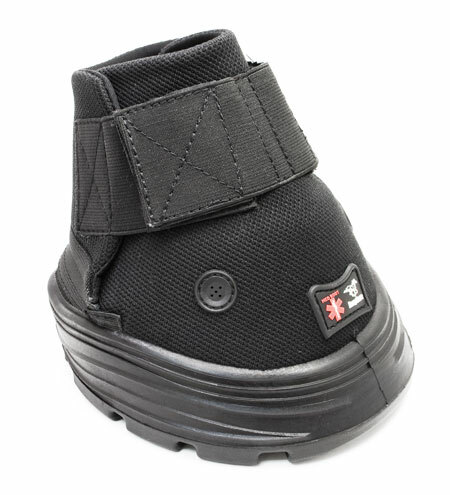 Turns hoof boots into Therapy Boots - the wedge system is great for navicular horses. The Epic boot has a unique faster which allows you top draw in the top of the boot with a cabling and buckle system. 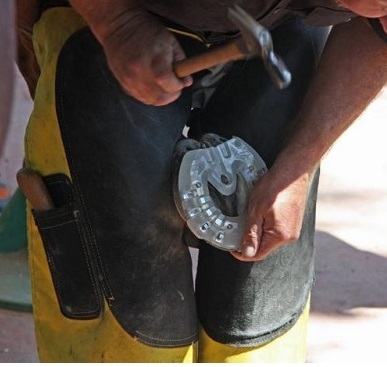 This opens up boot use to those horses who have less perfect hoof shape. Ideal for horses who suffer high/low hoof syndrome (club foot) as it allows the use of pads too which allows you to get a firmer fit on the club foot. Also ideal for horses just coming out of shoes who are undergoing rehab. This boot now totally redesigned with a stylish new look and super soft interior that no longer needs gaiters is great for larger horses and because of its reputation for being so tough still the boot of choice for many riders. Great for horses coming out of shoes with less than perfect hoof form because it is more forgiving in its fitting. Able to have pads added it is ideal for horses undergoing rehab. Ideal for those horses coming out of shoes. Can be a Therapy or Riding Boot. It accommodates a lot of hoof shapes and angles and has a soft sole. 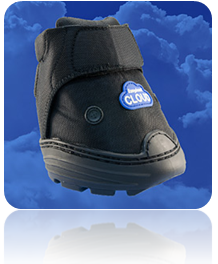 Pads can be added for extra protection and comfort and this boot is also an ideal riding boot too. The latest development from Easycare Inc. Available in serveral styles and in Glue On or nail on versions (see our Easyshoe information)for more videos on each style. 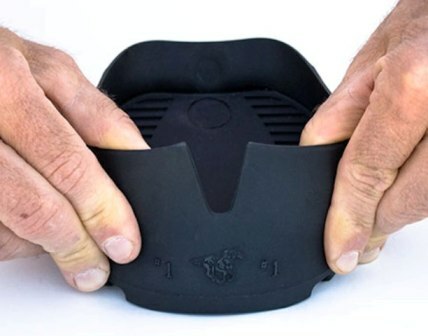 This Shoe incorporates many of the great features of a boot but allows riders who are performing in disciplines that only accept traditional shoeing a way to offer their horses an alternative hoof protection. Now something truly special for horse lovers! Hoof Boots Australia would like to share this video below as it depicts so well the relationship that so many of us have with our equine friends. Thank you Randy Oglesby for putting into words what most of us can only feel! My horse is a 14 year old Thoroughbred mare, who has been barefoot for six years. She is a classic example of a Thoroughbred who had flat, shelly, flaky feet, thin soles and poor walls. As the ill-informed like to say, "typical Thoroughbred feet." She also had a tendency to stumble. She has thick soles, thick walls, great concavity and terrific laminar connection. And no more stumbling! I have used EasyCare products since going barefoot. Many thanks to EasyCare for producing this great equipment. I am perpetually amazed at what these animals give us day in and day out. This video speaks for itself.